In a world of tweeting, texting, chattering, status updates, desktop messaging, flash fiction, and the ubiquitous shrunken novel, rhetoric and the art of epic articulation, sadly, are no longer appreciated and extolled. Murky millennial jargon and cryptic acronyms have replaced the precision of entire phrases and sentences, leaving some of us to wonder if the writer is laughing out loud or sending us lots of love. We are called upon constantly to synopsize, abstract, and shorten our communication and creative expression to meet the limitations of tiny keyboards, available characters, and an attention-deficit audience, even in arenas once characterized by devotion to the written word. 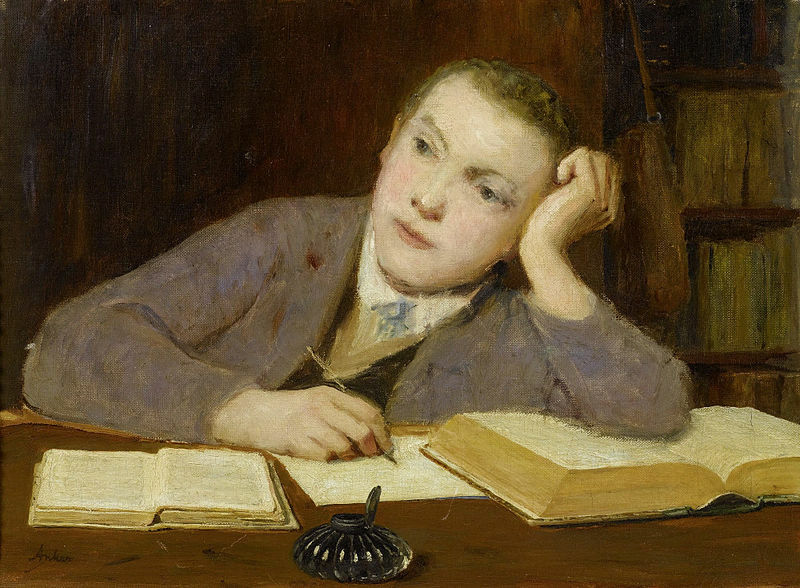 Those of us with GBG deem adherence to and mastery of grammatical imperatives to be the undisputed core determinants of good writing and satisfactory performance within, say, the context of a composition course and are puzzled and disturbed by the present disinclination to overwhelm a novice writing student with them. Science, mathematics, business, and other curriculums of absolutes have their determinants, as well, and allegiance to them is unwavering. Failing grades in these programs of study not only reflect inadequate functioning but serve to weed out, while composition teachers are pressured to pass all students, regardless of whether or not grammatical and syntactical proficiency is achieved. Whether this pressure is in response to the questioning of the value of formal rules, societal indifference to standards of excellence in writing, the contemporary watering down of the craft to make it more accessible, or a decline in college and university enrollment, the written product is compromised for the sake of the enterprise. Because my college and university experience spans thirty years, I have perceived this shift in response to student writing personally. While writing assessment was once a decisive and matter-of-fact highlighting of grammatical errors and structural deficiencies, composition and creative writing teachers (and graduate students studying the teaching of composition) of late seem averse to allocating much time and energy to punctuation, agreement, and other mechanical constrictions, focusing instead on the strength and development of the argument or narrative plot primarily. Even graduate students in current English and creative writing programs criticize professors for marking grammatical errors, deeming the feedback – wait for it – immaterial. Creative writing workshops, specifically, are hostile environments for participants who call attention to grammatical errors in a peer’s work. It has even been suggested that it is the editor’s job to catch “those problems,” as the writer should not be stifled by such trivial controls. It is a curiosity to me how students who truly fly in the face of language rules are interested in (and accepted into) English and writing programs in the first place. Communicating well in writing is the ability to inspire, evoke, engage, and transform through words and syntax and rhythm. It requires the meticulous, unremitting selection of the precise word – and there almost always is that one perfect word – that conveys the author’s meaning, as well as intuitive choices about spacing and pauses and dialogue. It requires an investment of time and comprehension on both the reader’s and writer’s part and a commitment to legitimate communication. And it requires a respect for and love of punctuation and principles of usage that some of us, thankfully, were fortunate to inherit.